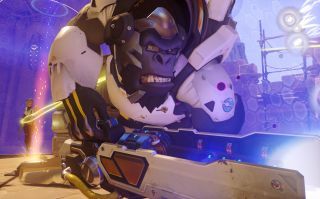 In a bit of inevitable-but-still-sad news for those of you enjoying the Overwatch beta, Blizzard has announced that it will come to an end on April 25, so that “final preparations” can begin for the launch next month. Game Director Jeff Kaplan said in today's developer update video that Blizzard will now shift into a slower schedule of updates with fewer radical changes, focusing instead on stability, bug fixes, and infrastructure. Barring unforeseen disaster, the studio will be able get back to more interesting updates, with things like new competitive modes and spectator options, shortly after launch. The closed beta will come to an end in all regions at around 10 am PT, and no further players will be added to the beta between now and then. But don't feel too badly if you didn't get in: An open beta is set to run from May 5-9, with a two-day head start for people who have preordered kicking off on May 3. Overwatch comes out on May 24.